Saree is one of the most versatile dresses ever created. There is no limit on the kinds of fashion experiments you can do with a saree. It not only represents the Indian culture but also highlights its richness and why one must feel proud to wear a saree. And being a Punjabi, I never got to wear one that much. Punjab is more about Salwar Kameez but every once in a while, women do experiment with a saree. But before doing that, one must know the basics of wearing a saree. Right? 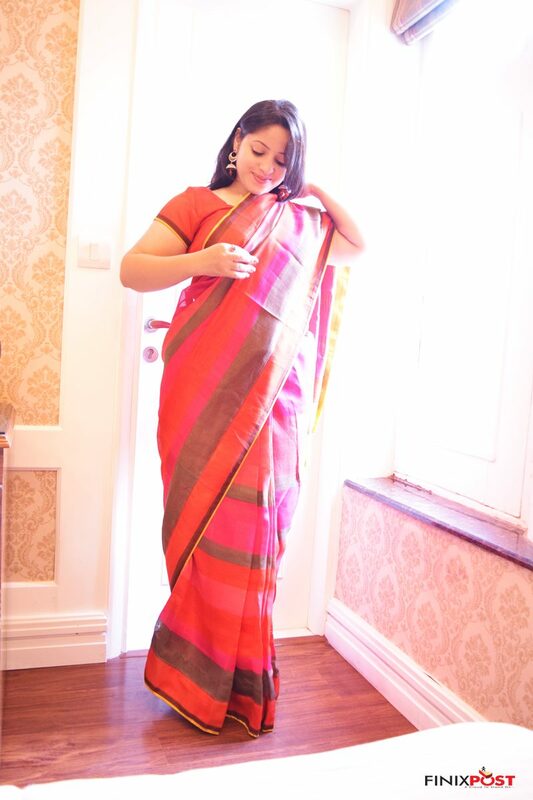 This post has been created in collaboration with Triveni Sarees (I am wearing the saree from the same brand in the pictures) where we’re going to enlist everything you need to know about how to get started with a saree. From what kinds of fabrics work on a particular body type to what kinds of accessories must be worn… this post is an ultimate cheat sheet for wearing a saree. And setting the pallu all by yourself isn’t an easy task! What kind of saree is good for your body type? Sarees are available in different kinds of fabrics and the most awesome thing about sarees is that it goes well with all body types. But not all fabrics are meant for your body type. Not all sarees are meant for you. Women with pear shaped body have a heavier bottom and that’s why they need to get the attention off that part. Wear fabrics like chiffon and georgette and opt for seedha pallu style of draping and bright colors. Borders and small prints would look good on such a body type. Women with such a body type are heavy around their bust and stomach and must try to cover up their waist. Go for long blouses and good embroidery. Consider wearing pure light weight silk but never go for something like net or like the saree I have worn unless you want to look like a teddy bear. If your body type is oval or diamond, you must go with light fabric that isn’t fluffy. The same goes with women who have some extra weight on their body. Let me be straightforward! If you’re fat, never go for something fluffy. If you’re thin or have any other body type, heavy or fluffy fabrics like art silk would look fine on you. That’s my usual travel bag for it easily bears the rough use. And I didn’t know it would look good even with this! Don’t pick up stiff fabrics or fluffy ones. Chiffon and silk would look good on you. Pick up dark colors and be very careful about how you drape your saree for that will make a lot of difference. Pleats of the saree should be carefully placed to make sure they don’t make you look fat from your waist. Long blouses and long sleeves would cover up your problem areas well. Pick up fabrics that would cling to your body as they will compliment your curves. But make sure you wear something that fits you well. Georgette, chiffon and net would look good on you but make sure you don’t pick something really heavy. Small embroidery, small prints would look good. Go for cotton or silk. Bold and heavy is your type. Go for heavy embroidery, bold prints, light colors… it would all look good on you. Basically, you would have to do the opposite of what a woman with voluptuous or overweight type should. Make sure you don’t go for heavy borders. Borders would make you look shorter. In fact, try to pick up sarees with very sleek borders. Vertical prints would look good. Never go for horizontal prints for they would make you look broader. And go for small prints. Also, if you’re tall, do the opposite. 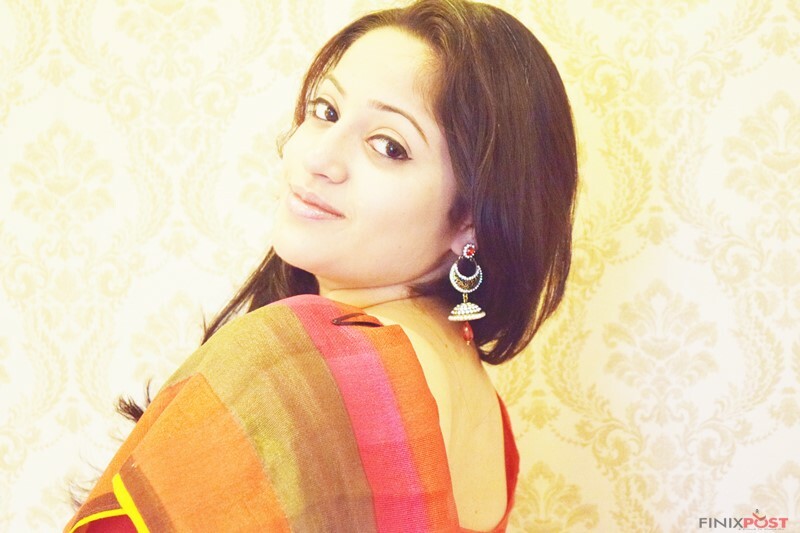 How to pick right accessories for sarees? Now that you know the first basic of wearing a saree – choosing right fabric and design, it is time to look for the accessories. This part would include tips on jewellery and footwear. The kind of jewellery you should wear depends upon your choice but the overall style and the amount of jewellery depend on the saree you want to wear. It also depends upon the occasion. If you’re wearing a saree for big family functions like marriage etc, your jewellery should obviously be heavy. But if you’re wearing a saree for a small party like a kitty party or an office party, keep it light. With office wear, keep it as less as possible. With a saree with heavy border and that has heavy embroidery in the front, go for a light necklace and heavy earrings. If you want a girlish look, you can just skip the necklace. Make sure you don’t pick up every piece of jewellery and wear it. You need to balance the look. 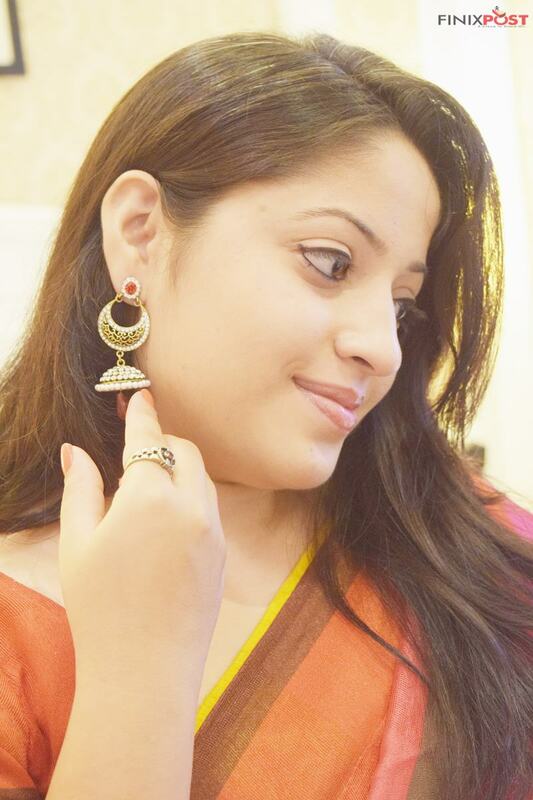 A heavy set of earrings with an extremely heavy saree is all you need. No necklace or maang teeka. Basically, when you’re wearing something really heavy, your face & neck should have either of the three accessories – earrings, necklace or maang teeka. When you’re wearing prints, beads and pearls would look great. 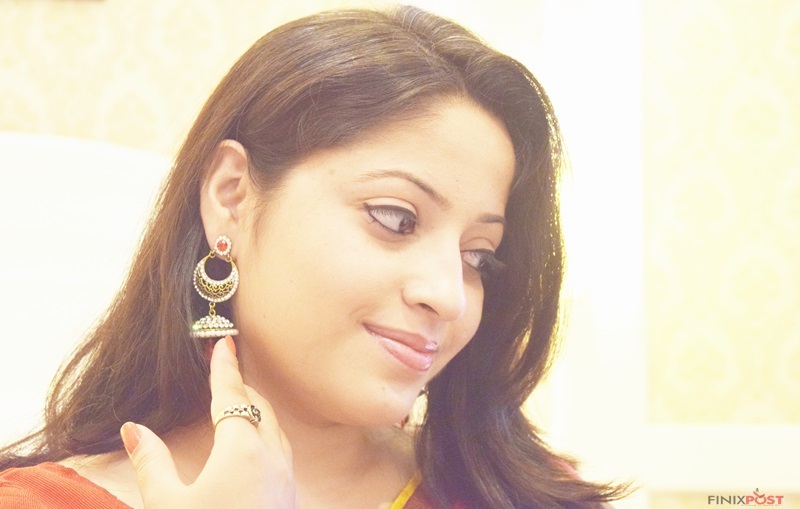 With traditional embroidery, kundan and meenakari style of jewellery looks good. With office wear, go for small bracelets. Otherwise, go for bangles that match the style you’re wearing. When it comes to handbags, team them up nicely with your attire. Don’t go for big bags. 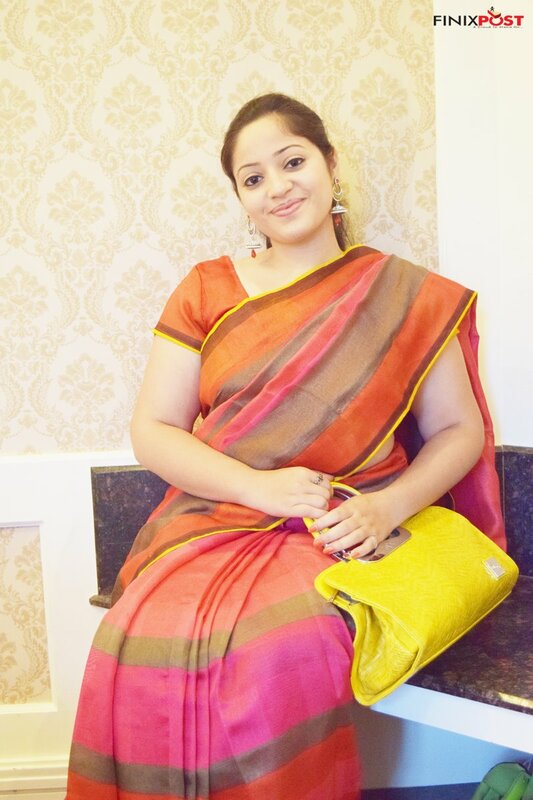 Clutches look good with sarees. A sleek embroidered sling bag would also look pretty. I believe my OOTD looks better with these earrings. Doesn’t it? Sarees look good with heels. Just don’t think of something like sneekers or formal shoes. With heels, make sure you don’t go with platform heels especially when you’re short. It would make you look horrible. Open toed bellies also look good with sarees. Don’t go for the ones that completely cover up your feet. No chappals or flip flops. No flats. I know how comfortable you feel in them but go for heels even if they’re just half an inch. All kinds of hairstyles look good with sarees. But these days, buns are really preferred. They also help you get a clean manageable look. Braided buns, upside buns, side buns … all are perfect for sarees. Leaving your hair open in summer is tough even with A.C. on. Plus I think the braid looks better with this. Doesn’t it? With open hair hairstyles, go for something that can be easily managed. You would already have a big pallu to handle. Messy and unmanageable hair would make it a nightmare to wear a saree. Makeup totally depends upon the occasion but even when you’re wearing a heavily embroidered saree, go for makeup that looks natural on you. 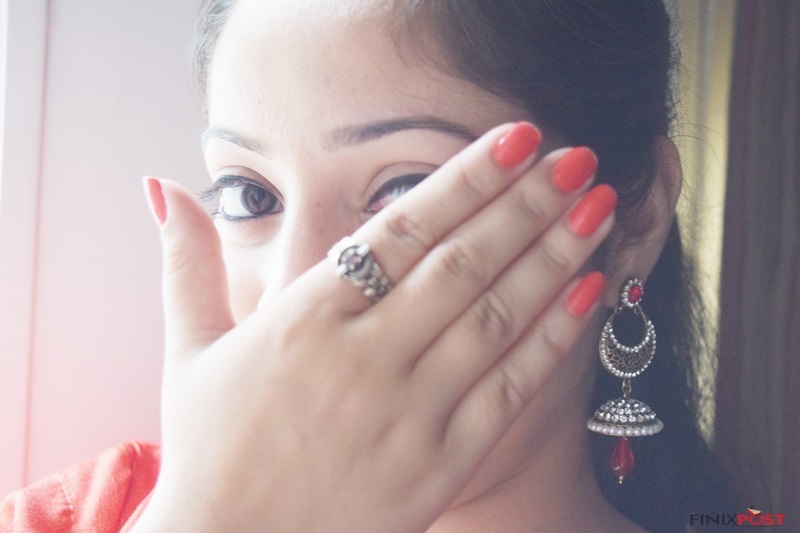 Winged eyeliners look super pretty with Indian wear. Don’t wear dark eye shadows because that’s something that never looks good with Indian wear. A lightly done smoky look would look good in case you want nothing but dark. Make sure your nails are properly done and toe nails are equally important. I really loved this cute ring I got and had to flaunt it 😛 And my photographer is probably gonna die for keeping the focus on the earring! That’s it ladies. This is the cheat sheet you need for wearing a saree. We have tried to make sure that you get answer to every kind of question you might have when it comes to wearing a saree. Of course, various styles to drape a saree have been missed but maybe we can cover it up some other time. I hope you enjoyed reading the post and also that you liked what I’m wearing. The saree is by Triveni Sarees and they seriously have an amazing collection of ethnic wear. 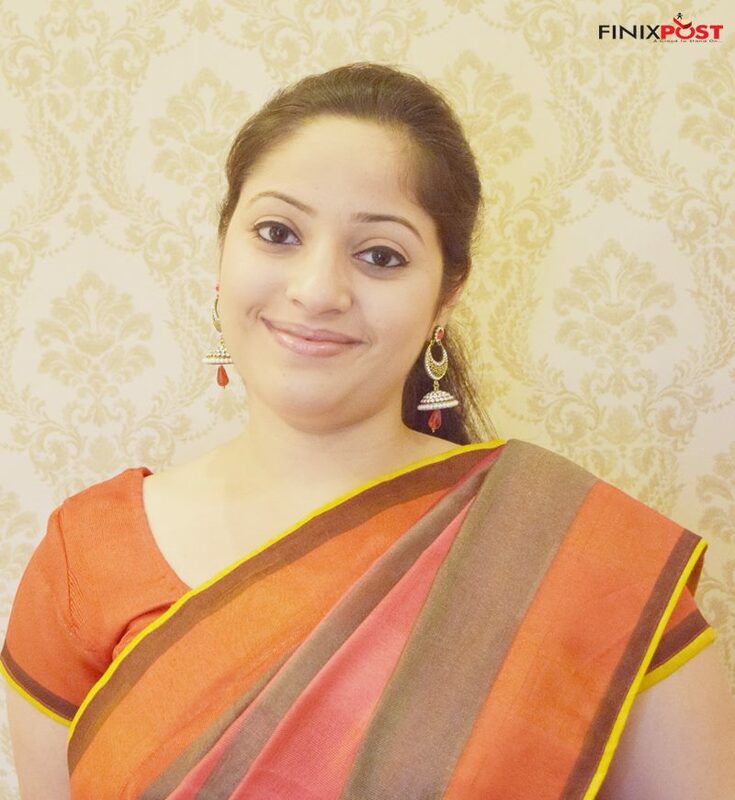 Here’s more about my experience with Triveni Sarees. I would love to hear your views about this post. Tell me if you liked the tips or not. Next articleIndia on My Platter: A Delight or Distasteful? Well this post is not useful to me but I could forward to my female family members. Looking pretty.. Thanks for sharing the tips. Saree is the soul of every Indian woman. So, it is always essential for a woman to pick the perfect Saree through Online Shopping according to your body shape.